As researchers reveal the increasing complexities of accounting practices in emerging economies, there is a growing need for an overview of the topic. 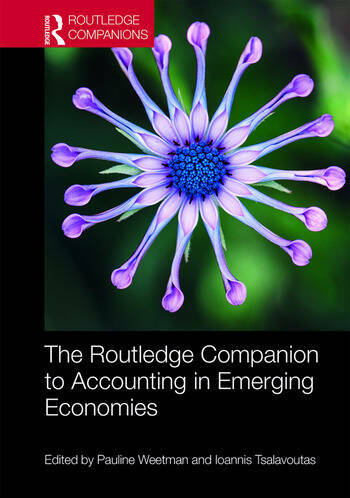 The Routledge Companion to Accounting in Emerging Economies is a prestige work offering an introduction to current scholarship in the field, with indications of future directions for enhancing the contribution to knowledge. With regional coverage of key emerging economies such as Brazil, Russia, India and China, the team of contributors analyse accounting in detail, whilst shedding light on the role of the accounting profession in providing accountability and governance across the developing world. Each chapter is headed up by an internationally recognised author who is a leading expert in designing and implementing research approaches to the topic. Within the team of authors, some are experienced senior contributors while others are developing new avenues of exploration on the basis of high-quality doctoral study. This range of author experience is deliberately chosen to allow the reader to envisage working in such a team while growing in confidence. This unique reference offers a comprehensive guide to advanced students, academics, practitioners and policy makers on the current state of, and potential developments in, accounting in developing economies globally. This will be of particular interest to students and researchers looking to identify topics in emerging economies; academics and practitioners seeking convenient access to an unfamiliar area, and established researchers seeking a single repository on the current state of knowledge, current debates and relevant literature. Pauline Weetman is Professor Emerita in Accounting at the University of Edinburgh and holds the Distinguished Academic Award 2005 of the British Accounting and Finance Association. She is a co-author of International Corporate Reporting: A Comparative Approach. Ioannis Tsalavoutas is a Senior Lecturer in Accounting and Finance at the University of Glasgow and holds a PhD in Accounting from the University of Edinburgh. His research on financial accounting and reporting has featured in leading journals such as Accounting and Business Research.